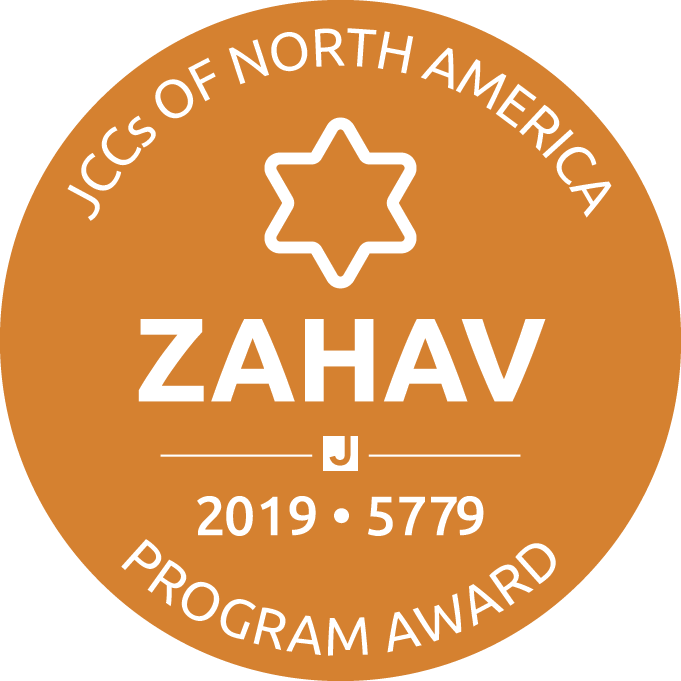 Presenting our 2019 Zahav Award Winners, the one and only gold standard for JCCs of North America Program Awards. Wish our winners a hearty mazal tov—and look forward to learning more about these exceptional programs, what it took for the JCC to invest in them, and from the people who put them together when you get to JCCs of North America Professional Conference on Feb. 24! Description: The collaborative program, EnRich for Life (EnRich), presented by the Weinstein JCC, provides monthly programming that meets the social, mental and physical needs of Jewish seniors and other individuals 65 and older. It offers a unique opportunity for seniors of all cultural/ethnic backgrounds and faiths to convene in a central location where Jewish life, values and culture are shared and friendships are made. Description: In 1967, a group of Chicago artists from the Organization of Black American Culture created The Wall of Respect and gave birth to a national community mural movement. Honoring the spirit of the wall, the J coordinated the creation of a unique installation—a yurt, or round tent, 12 foot in diameter—celebrating not one but five vibrant cultures: Native American, Jewish, African American, Latino/Hispanic and Asian. As in the original wall, we depicted cultural symbols, images and words. Our installation is informed by local stories told by members of the featured communities; portable, intended for travel to venues throughout the metro area; and highly interactive, growing organically as viewers add and manipulate elements. Exterior walls were painted by professional artists and the roof was drawn by artists and painted by people of all ages during open paint events in different parts of the city. Our goals were to establish the Jewish community and the J as leaders in addressing civic issues; enhance appreciation of the values and physical beauty created by different cultures; and foster pride in one’s own heritage. Description: The J on Wheels initiative strives to engage a greater number of community members through innovative and multi-dimensional programming. With the trailer concept, we have a mobile space that is used to build connections and create an inclusive community environment wherever we happen to be, whether that is the parking lot of a Starbucks, a local synagogue, outside the kosher grocery store, at someone’s home, or any number of locations. We aim to engage current JCC members in new ways and at new locations and attract unaffiliated individuals by literally meeting them halfway. We hold three to five events monthly across the Dallas Metroplex area, targeting various demographics. We collaborate with other JCC departments to bring existing programming off campus, or create programs that are entirely new to the agency and community. An ideal program or event contains all three of our J on Wheels pillars: social interaction, education, and culture—all through a Jewish lens. Description: The Jewish Community Center of Metro Detroit partnered with Tamarack Camps to create the JCC Day Camps powered by Tamarack collaboration. The fundamental goal of this partnership is to build a renowned day camp by instilling the unique culture of a well-regarded community asset. Areas we are targeting include staff structure, progressive and age-appropriate programming, safety, security, health and wellness, policy and procedures as well as staff training. After the first summer some achievements consisted of increased enrollment, enhanced marketing plan, balanced budget, in addition to a coordinated effort with Tamarack Camps related to staff training, policies and procedures and the hiring of a camp nurse. After reviewing parent surveys from the 2018 summer, it is clear that 25 percent of our families registered for the JCC Day Camps because of the Tamarack collaboration. Description: Not your bubbe’s story time! Drag Queen Storytime brings drag queens and families together to share in an hour of storytelling, songs, dress-up and fun in the name of literacy, diversity, inclusion, social justice and freedom of expression while celebrating our Jewish roots. Everyone is welcome! Description: The Marcus JCC of Atlanta’s Spotlight Theatre Company is a free, immersive theatrical experience for adults with special needs. Spotlight is an audition-based program in which emerging actors with special needs train together and participate in weekly master classes with the support of seasoned educators and theater arts professionals. Spotlight participants have been part of ongoing, enriching, and hands-on theater and film experiences that help build self-confidence, self-esteem, social skills, discipline, and motivation, while also developing their skills as actors. Most recently, the group created a short film in partnership with a local theater company and are currently producing a four-part web series professionally written for the Spotlight actors. Description: Israel at 70’s goal was to bring modern Israel to Cincinnati—both to the Jewish community and the city as a whole— through the lens of arts and culture as part of the Mayerson JCC’s year-long celebration of the 70th anniversary of Israel’s independence. Together with the Jewish Federations schlichah, the JCC planned an extensive season of programming that dispelled the myths and common conceptions of Israel as a desert land filled with camels. A series of nine programs, designed to be both entertaining and educational, shared the country’s modern, thriving culture by bringing Israeli artists to Cincinnati. It used Cincinnati’s strong relationship with its sister city, Netanya, through an artist exchange program that continues today. It also honored Cincinnati’s active Jewish community by highlighting celebrations taking place throughout the region’s schools, congregations, and other groups. Thorough planning and thoughtful creativity helped shape an Israel at 70 celebration that continues to impact the community. Description: The Riverdale Jewish Community Partnership (RJCP) is a collaboration of 18 Riverdale Jewish communal institutions from across the denominational spectrum, including synagogues, minyanim, day schools, seminaries, and community organizations. The Riverdale Y is the organizing institution, given its mission as a non-denominational, community-building convener. While different Riverdale Jewish institutions collaborated periodically on programming in years past, starting in 2016-2017, Riverdale’s Jewish leadership developed a more intentional and coordinated effort on behalf of the Riverdale Jewish community. RJCP, through the Y’s coordination, planned a few major programs, which brought several hundred Riverdale Jews together. These Jewish organizations also communicated more effectively with each other and included each other in individual institutional events. Given that success, the Y took RJCP another step forward in 2017-2018 with increased programming, funding, and visibility in order to grow and strengthen the collaboration. The Y sought to reinforce the model that the Jewish community can work together to reach out to more Jews, regardless of their level of connection to the Jewish community, and significantly increase the impact on individual Jews and the Jewish collective. Description: The Jewish Community Center of Youngstown played an instrumental role in employing Youngstown City School students, opening of the only public pool in the city of Youngstown, and created an ongoing swimming program for the Youngstown City School District (YCSD) through the creation of the Aquatic Accessibility program. Prior to opening the Northside pool for summer 2018, the Lake to River Chapter of the Red Cross invited the City of Youngstown, the JCC, and other leading organizations to discuss obstacles involved with its opening. During the meeting, the group created a plan to implement a swim education program followed by a Red Cross lifeguard training program. After six weeks of daily lessons, students who could not previously swim not only passed a swim exam, but also became lifeguards dually employed with the JCC and the City of Youngstown. This goal of this collaboration is both immediate and long term. Meeting the immediate need, the JCC was able to find staffing for the Northside pool. Long term, the JCC hopes this model will function as a continuation program for the YCSD. Description: In partnership with scientists from University of Arizona, the Tucson J is in its eighth semester of Elder Rehab. Elder Rehab is a research-based program that focuses on physical, mental, and social stimulation protocols developed to improve symptoms from Mild Cognitive Impairment (MCI), dementia and early stages of Alzheimer’s. Description: Our revitalized Counselor in Training program seeks to simultaneously create a talent pipeline for staffing our own summer camp program and to provide substantive skills, knowledge, and life lessons valuable to the participants regardless of what career trajectory they choose. The new structure aims to include both traditional camp learning opportunities as well as professional mentorship from our own MJCC full time management team. Description: The Staff Vision and Engagement Journey is an ongoing effort to ensure that the JCC of Central New Jersey’s entire staff has positive morale and strong motivation. At the foundation of this initiative is a framework of values and a credo for our entire staff to follow as we do our jobs and interact with each other on a daily basis. This framework was created by and for the entire staff. Included is the agreement that transparent, open communication among staff is a priority and should be practiced from top to bottom, side to side. To round out this initiative, the JCC schedules regular opportunities for small groups to get together to discuss what’s on their minds creating an environment where all are free to express their opinions and concerns. We are collectively more conscious about sharing information about our plans; have an annual staff recognition and appreciation program; and staff-wide get-togethers where we celebrate milestones and successes and enjoy each other’s company outside of a work environment. This initiative is ongoing and very intentional so that we continue to foster a healthy, dynamic, productive work environment. Description: JCC Chicago is known throughout the greater Chicago area for several things—Camp Chi, Apachi J-Camp, early childhood programming and now, the JCC Chicago Jewish Film Festival. The agency’s signature adult program, the JCC Chicago Jewish Film Festival has been on a tremendous path to growth, going from 500 filmgoers in 2015 to 12,000 in 2018. This growth has been maintained with 1.5 people on the program staff working in partnership with marketing. Together we have scaled this event using an omni-channel approach to growing awareness among our target audience, and by strategically partnering to create efficiencies. An annual event in late-Feb thru mid-Mar, the 2018 festival featured more than 31 films over three weekends. To make our festival relevant within Chicago’s arts and culture scene, the JCC embarked on a media campaign that includes out-of-home, digital, email, print, social media marketing, along with public relations and more! Description: The beautiful havdalah service transitioning to a new week—with its fragrant spice box, braided candle and cup of wine—is something extraordinary at Camp Interlaken JCC in Eagle River, Wisconsin. This is a Camp Interlaken tradition that alumni remember forever, and it’s a factor in how our camp connects youth so strongly to living Jewishly. With an end goal of engaging our camp alumni long distance—many of whom are donors to camp—we created a livestream havdalah event using Facebook Live. While the audience would also include current camp families by nature of the medium, the JCC’s marketing focus targeted alumni and donors. The conservative goal for measurement of success was a minimum of 125 viewers watching the livestream event. With more than 7,000 views of the Facebook Live Havdalah that evening—more than 350 reactions, 260 comments and 44 shares, the JCC handily surpassed that goal. Revisiting the video link shows to date a total of 9,300 views. Many of the comments are so beautiful that the JCC has used them to form the case for support for the fall annual appeal. Overall, it was a successful tool to further donor stewardship and cultivation.